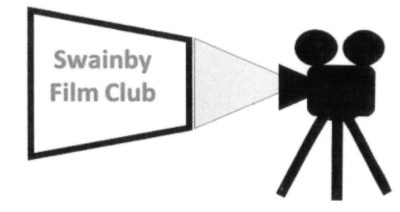 Following on from our request for club members suggestions for films to screen, we are pleased to announce the first two screenings for the new film club season starting in October 2019. The first is of the much acclaimed film 'War Horse'. If you haven't already seen it make sure to bring along a box of hankies as it is a real tear jerker. Our second screening will be 'Ladies in Lavender'. This is definitely one for the ladies, starring Dame Judi Dench as one of two sisters who find a young man unconscious on a Cornish beach. New season begins on October 18th. Membership is open to all aged 18 and over, or if you just want to see an occasional film drop in and watch for £5. There is a licensed bar at each screening. Corelli is the leader of the Italian invasion force that control the Greek island of Cephalonia. Billeted with the local doctor he falls in love with his daughter, even though she is engaged to resistance fighter Mandras. Slowly, his feelings are returned but their life and love is disrupted when the Italians surrender to the Allies. Should Corelli and his men join with the Germans and continue to resist? Aging spinster sisters Ursula (Judi Dench) and Janet (Maggie Smith) discover a young man (Daniel Brühl) near death on the beach by their home in a small Cornish fishing village. Taking him in, they discover that he is Andrea, a violinist from Krakow, Poland, who had been swept off an ocean liner on which he was sailing to a fresh start in America. Although Ursula feels an unfamiliar spark of infatuation for the handsome young musician, propriety suggests the attraction must remain unspoken.